You’re never too old for a girls weekend away, right? My best friend Naomi lives in The Lake District, so we’re always making plans and finding excuses to meet up. Every time we meet, laugh hysterically, indulge in good food and drink and quiz each other about every little detail of our lives. It’s the best kind of therapy I could ever ask for and I’m pretty sure we’ll still be doing this well into our 60’s. Manchester is a great half-way point for us, so for our latest meet-up we checked in to the Roomzzz Corn Exchange for a much-needed girls weekend in Manchester. Roomzzz (yes, that’s 3 Z’s) has properties in cities all over the UK including London, Leeds, Newcastle, Nottingham and Chester. It has an aparthotel concept, which means that instead of checking into a standard hotel room, you’ll get a stylish studio apartment complete with kitchenette and lounge area. 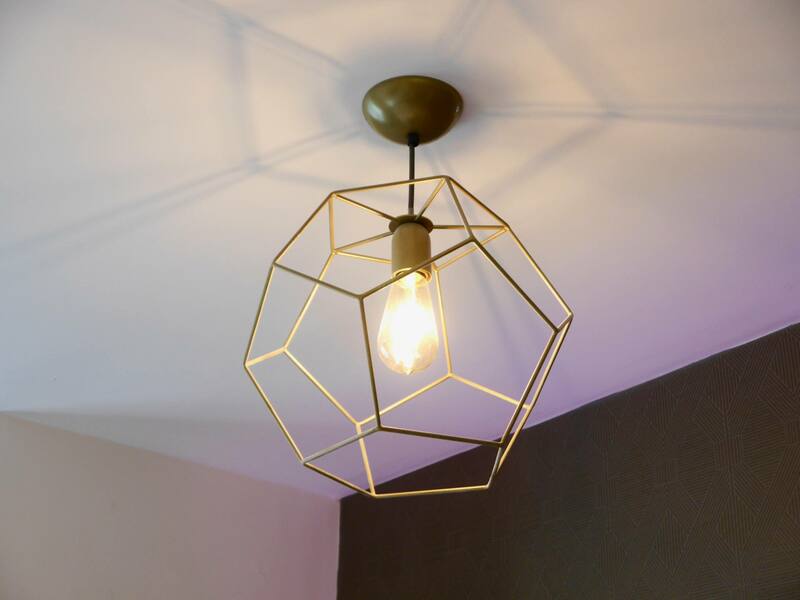 All of the rooms are individually designed with contemporary features and fun, quirky details. 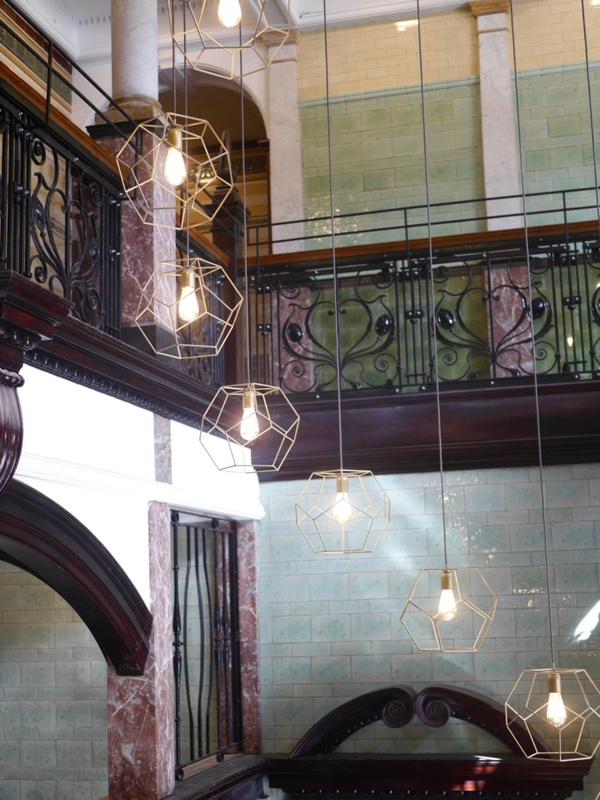 The Manchester Corn Exchange is a beautiful Grade II listed structure in the heart of the city and I was surprised to find that the Roomzzz apartments were directly inside the building. The hallways and main staircase still maintain their original features including statement green, blue and black tiles. It oozed character and I thought it could have looked exactly the same in the 1920’s. After a warm welcome at reception, we were given our key cards and took the lift in search of room 301. 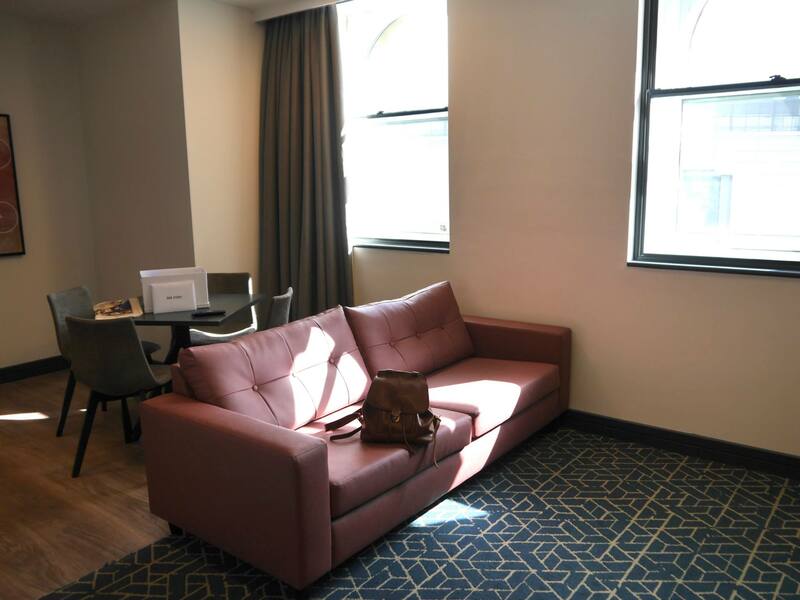 Our apartment at the Manchester Corn Exchange was a Liberty Suite, which is one of the larger apartment options. It felt fresh, clean and spacious and I loved the design features. The bedroom was separate from the kitchen and lounge area, making it feel much more like an apartment than a hotel room. 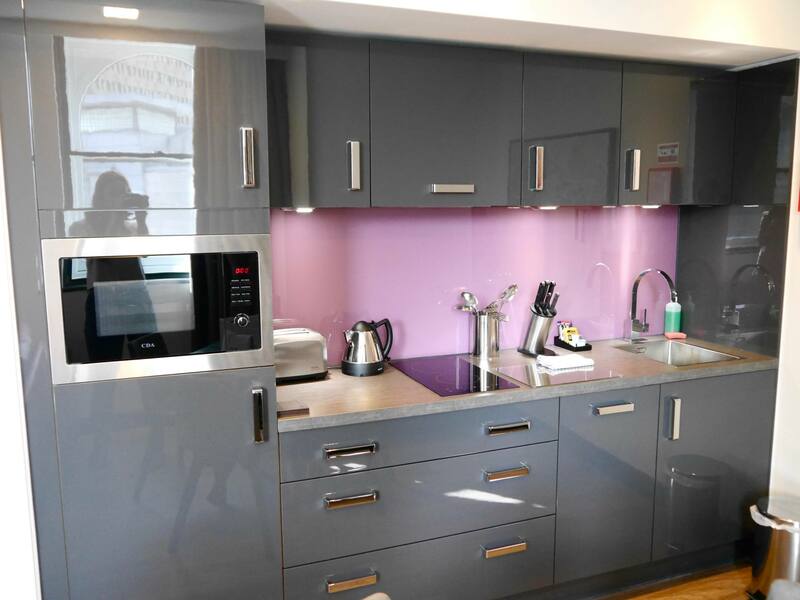 The mini kitchen was fully equipped with table wear, glassware, a hob and tea and coffee making facilities. 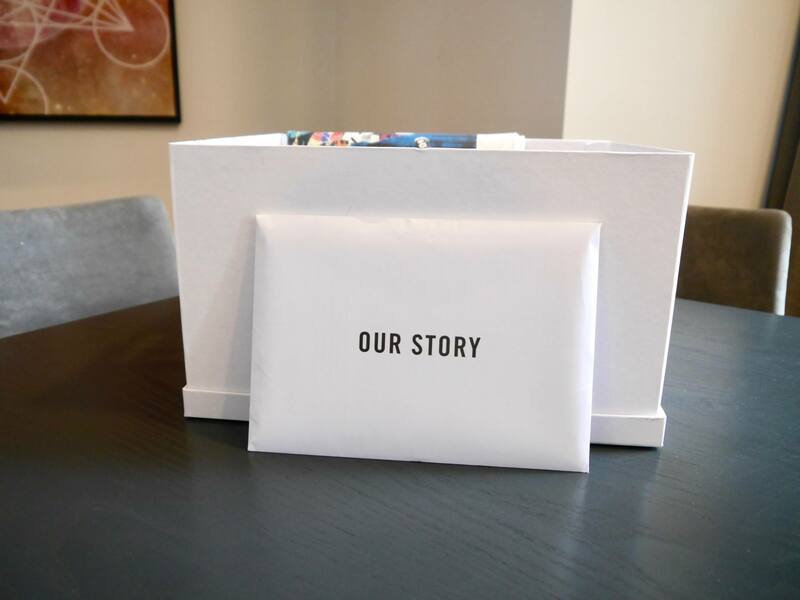 There was also a welcome box filled with extra goodies, which was a really thoughtful extra touch. During our stay I kept discovering extra little luxuries including heated flooring in the bathroom, USB ports by the side of the bed, high ceilings and a spacious rain shower. As far as central hotels in Manchester go, The Roomzzz Corn Exchange could not be better located. It’s over the road from Selfridges, Harvey Nichols, The Arndale Centre and The National Football Museum. 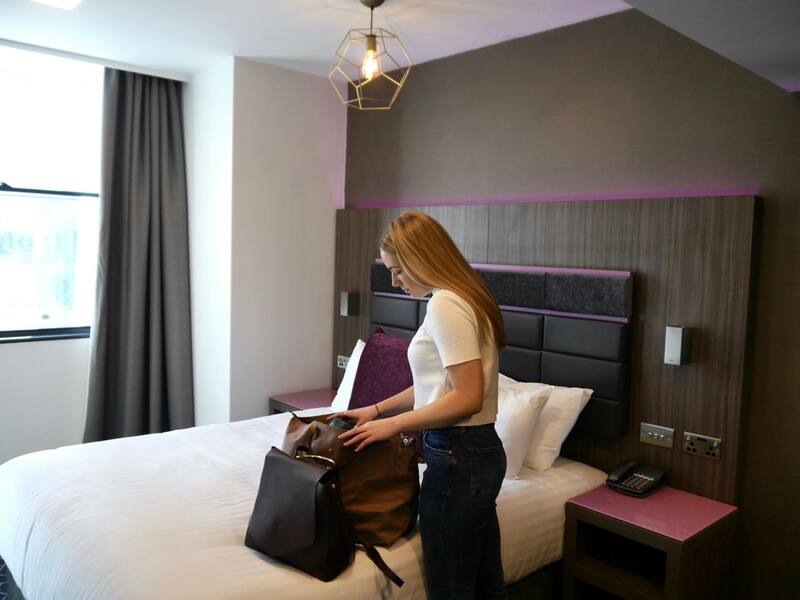 Manchester Victoria Station is also less than a 5 minute walk away. Inside the Manchester Corn Exhange, there are also 14 buzzy restaurants, so there’s a huge amount of foodie options on your doorstep. 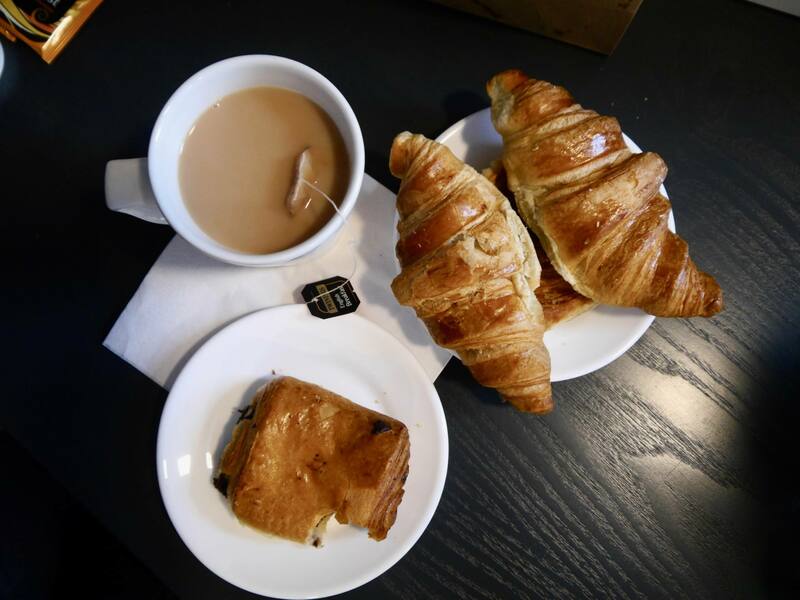 Guests also receive a free ‘Grab and Go’ breakfast which includes tea, coffee, fruit, juices and freshly baked pastries. During our girls weekend in Manchester we went shopping, drank cocktails, had some delicious food at Gorilla and went to see the Sound of Music Musical at The Palace Theatre. I loved my first experience of a Roomzzz apartment and would definitely choose Roomzzz again for stylish city break accommodation. 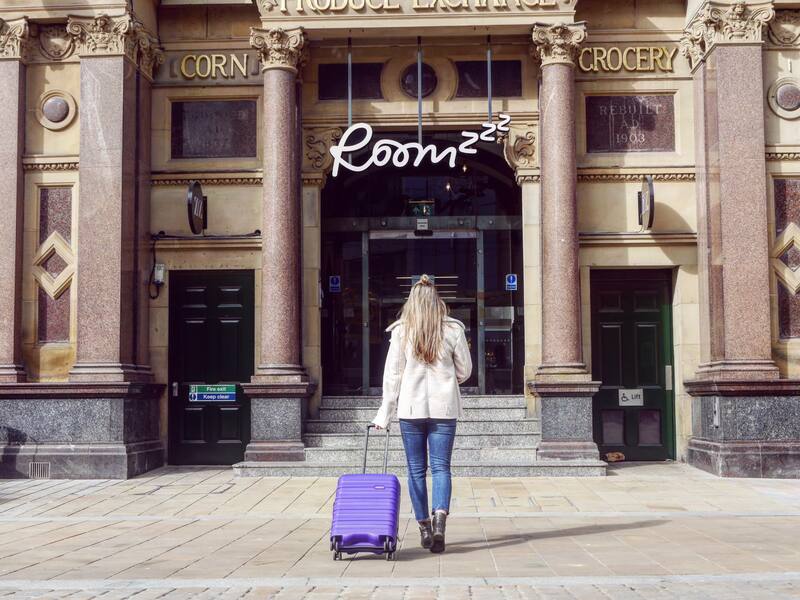 The Roomzzz Manchester Corn Exchange is a fun, central and stylish place to stay in Manchester and is perfect for girly weekends, a romantic city break, hen dos and visiting the Manchester Christmas Markets. Roomzzz apartments start from just £109 per night for a Neo Studio. The apartment featured in this post was a Liberty Suite which start from £159 per night. My stay at Roomzzz Manchester Corn Exchange was provided complimentary in exchange for this blog post. All images, words and opinions are my own. My friends and I always have at least one night away together every year without fail. Definitely love an aparthotel, so much more space and facilities. 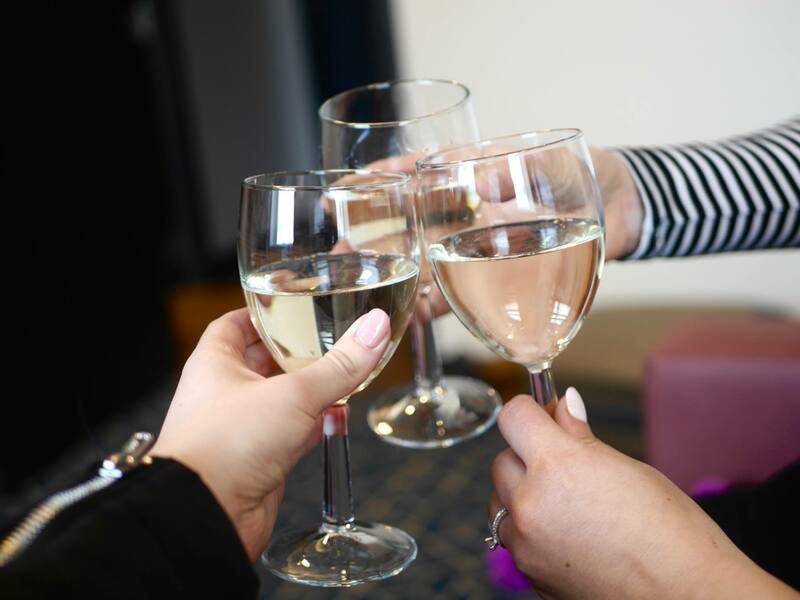 That looks great – I totally agree that there is nothing better than a girly catch up. I’m a massive fan of apartment style hotels-especially for cities you stay in for a couple of days; It’s so much nicer to be able to relax in an apartment than a small hotel room.